For those old enough to remember, every episode of the iconic TV show, All in the Family, began with Archie and Edith Bunker singing at the piano (out of tune but enthusiastically belting out, "Those Were the Days"). Archie longed for the simplicity of earlier times (at least in his mind). This comedy ran from 1971 to 1979 and explored subjects considered too hot to handle at the time, but did so with remarkable humor and grace. This eventually caused subjects like bigotry, misogyny and even the Vietnam War to enter the national conversation in a way not seen previously. Meanwhile, the interaction between Archie and his son-in-law (who he called Meathead) represented the generational clash between the Silent generation and the then-young Baby Boomers. Generational change almost always requires adjustment on all sides and succession planning for family-owned banks is no different. Family-owned banks with concentrated ownership structures have not only emotional issues to contend with when planning succession, but also regulatory hurdles to overcome. For many banks, the transfer of shares to the next generation has special requirements (not just for families and individuals who own more than 50% of an institution). In fact, estate plans which hold as little as 5% of the voting stock may be subject to regulatory scrutiny in some circumstances. In regulatory circles, "control" is defined as owning 25% or more of the voting stock, but "presumption of control" can occur when individuals own as little as 5%. This can occur when shares held by other family members (or investors) can be aggregated and this can include grandparents, siblings and children. Regulators require notice of a change in ownership when shares transfer between individuals and often will conduct background checks if the shares are above 5% (along with a vetting process). Further, if trusts or other legal entities are the new controlling owners, then regulators may consider whether they will be considered bank holding companies. There have been instances of families having to quickly liquidate part of their controlling interest or even the bank as a whole following the death of a significant shareholder, due to errors or oversight in setting up the plans to transfer shares in the estate. Banks know that estate planning vehicles like trusts and family partnerships may be used to hold shares, as well as private foundations. For family controlled banks that are S corps, however, it is important to note in planning the transfer of shares that not every legal entity is an eligible shareholder under the rules. In the end, family owned banks need expert, experienced legal advice when setting up estate plans if they want to transfer their bank shares to the next generation. In addition, it is important that the desires of the next generation be considered. Some family members may be actively involved in management of the bank and want to continue in the future, while others may prefer to hold the shares for investment value and not be actively involved in decision-making. 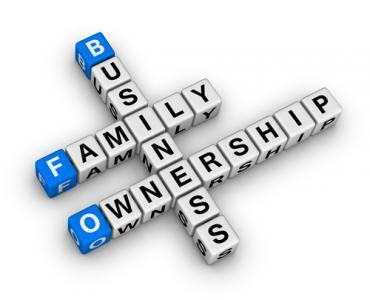 While a family meeting regarding succession of a long-held business built over a lifetime (or several) is never easy, knowing the wishes and desires of the next generation regarding the ownership is a terribly important discussion to have. After all, the longer term strategic plan for preserving and growing the value of the institution is at stake. As some community banks merge with others, the deck chairs shift around so it is important for family owned banks to have frank discussions well in advance of organizational changes. After all, no one wants family members to end up having a shouting match like Archie and Meathead when the bank and its succession are the topic at hand. The market see-sawed with yields rising before the FOMC announcement and then finished almost flat. Consumer inflation and initial jobless claims will occupy the market. A study by SpectorSoft finds 37% of data attacks in the real estate sector are perpetrated by insiders. The Census Bureau reports that as of Q1, the percentage of Americans who own their homes fell to the lowest level in 20Ys (to 63.8%). Tighter lending requirements, prior foreclosures and other factors are likely reasons for the decline. SF Fed economist research finds the rate of involuntary part-time work is running about 30% to 40% above earlier recoveries. A Deloitte survey of global risk managers finds the Top 5 challenges institutions said were the most difficult when managing risk: increasing regulatory requirements and expectations (79%); risk information systems and technology infrastructure (62%); risk data (46%); establishing and embedding the risk culture across the enterprise (35%) and identifying and managing new and emerging risks (35%). A Bank Director survey of executives & directors that asked whether respondents were considering buying another bank and/or participating in a merger of equals cited the following as the top barriers to moving forward, among others: pricing expectations of potential targets are unrealistically high (63%); management/board of desired targets are unwilling to sell (47%); worried about asset quality of potential targets (35%); concerns about integration of operations (28%); my stock doesn't trade at a high enough premium (24%); no suitable targets in desired market (24%); access to the deal is limited by capital (23%). The GAO reports 29% of households with people age 55 and older have no retirement savings or a pension plan. Meanwhile, those age 55 to 64Ys old have an average of $104k. A survey by ICBA finds only 16% of community banks say they operate a call center.